We want you to be able to make an informed decision. Below are resources that can help. 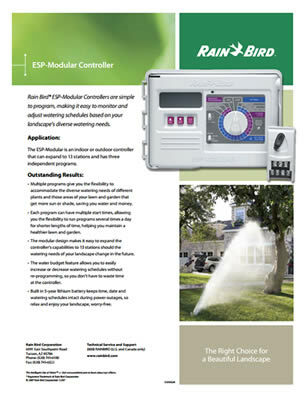 We all want to make an informed decision when it comes to matters of irrigation and lighting. We want to help get the information to you that will help you do just that. 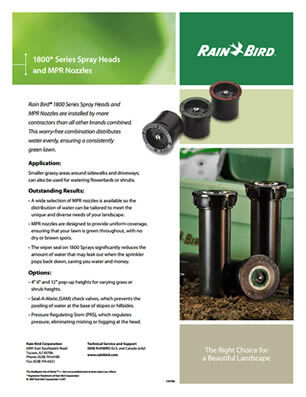 Below you will find a few pieces of information that describe the Rain Bird products that we prefer and use regularly. We hope these resources are a benefit to you as you investigate your service options. These files are in the free Adobe Reader format. Download it for free here (most computers already have it). 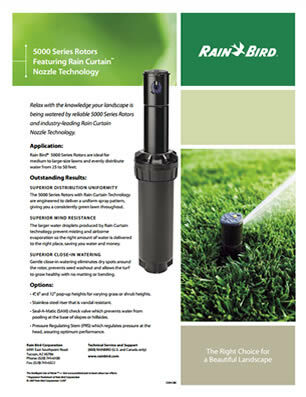 Make your selection below to investigate some popular irrigation and lighting products. Additionally, please be sure to check out our landscaping partner, Primary Grounds, at www.primarygrounds.com.